Chronic pain is defined by the National Institutes of Health as pain that persists for three months or more, although this time-frame may vary depending on the condition in question. The nature of chronic pain may range from mild to severe. It may be constant, occur in regular episodes, or occur in response to specific triggers. Chronic pain may cause some irritation or complete disability. Must Watch Video – What is Chronic Pain? Pain related to the spine is one of the most common types of chronic pain. Others include headaches, pelvic pain, joint pain, and muscle pain. Neuropathy, or nerve damage, may also lead to a chronic pain condition. In addition, chronic pain may have an onset without an explanation. These incidences may be explained by underlying neurological or biological disorders, such as excessive nerve inflammation. In some rare cases, not even these can be found to be the cause of chronic pain. This is known as idiopathic pain. Some researchers conclude that psychological disorders, including stress and emotional distress, may influence the severity of chronic pain. Many patients find these are a “trigger” for the onset of their pain. Chronic pain is often diagnosed based on its effect on normal function, normal movement, or quality of life. These are assessed by medical examination, patient interviews, and rating scales (for both self-reported pain and variables such as life quality). Acupuncture is a treatment based in traditional Chinese medicine that was developed to address chronic pain and other medical conditions. It involves the placement of fine sterile needles through the skin in the area of the body affected by chronic pain, and also other body parts that are seen by the practitioner to contribute to the pain. Acupuncture is associated with the reduction of pain, inflammation, and stiffness for many patients. It is thought that this is achieved by the release of endorphins (molecules produced naturally in the body that are similar to opioids) promoted by needle placement. 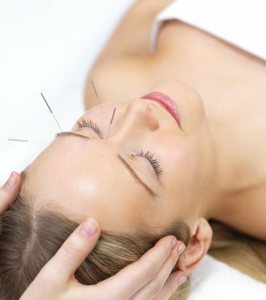 Historically, acupuncture is performed using simple stainless steel needles. Steroid injections are injections delivered directly to spinal nerves in the back (epidural) or neck (cervical) in cases for which nerve inflammation is a major factor of chronic pain. Steroids may significantly reduce inflammation. In addition, there is the option to include local anesthetics such as lidocaine to inhibit pain. Cervical steroid injection involves injection between the vertebrae (spinal bones) in the neck. In the case of epidural steroid injections, the needle is placed into the epidural space just outside the spinal cord, where nerve roots will be treated effectively. Steroid injections are relatively convenient and safe procedures that may result in pain relief lasting from a week to a month, depending on the individual patient’s response. They may be repeated if necessary for maximal effect. Opioids are drugs similar in structure to endorphins. They are powerful and in many cases well-established painkillers, including oxycodone, codeine, fentanyl, and morphine. This drug class is associated with significant pain relief, but also with side effects such as lethargy, and with adverse effects such as dependence, addiction, and withdrawal symptoms. Opioids are prescribed to individuals with severe pain that is not effectively treated by other drugs or treatments. Ideally, patients discuss the possibility of starting a course of opioid medication carefully and in detail with their pain specialist or physician, and become familiar with the risks and consequences of opioid addiction and abuse. They should also be closely monitored by their healthcare team. This has been found to increase the probability of safe and effective opioid use. A nerve block is similar in principle to the steroid injection procedure in that nerve roots associated with chronic pain are located using imaging techniques and a needle is inserted at an appropriate location for the administration of local anesthetics. Again, steroids may also be injected in order to reduce inflammation. Nerve blocks may be performed on various major nerves or nerve clusters in the body (e.g. stellate ganglion or occipital nerve) depending on the type of pain condition in question. For example, occipital nerve blocks are associated with effective treatment in some types of chronic headache. Adhesiolysis addresses chronic pain associated with scar tissue that is located on or near a nerve, thus irritating or inflaming it. This is performed under local anesthetic, in which the scar tissue (or adhesion) is located using imaging techniques such as fluoroscopy. A needle and catheter is then inserted near the adhesion (also guided by imaging technology) and medications to inhibit pain and inflammation and/or dissolve the adhesion are inserted. Adhesiolysis may be performed on spinal nerves in the neck or back to treat chronic pain in these regions. Variations on the procedure that address other types of adhesion, such as bowel obstruction, are also available. Radiofrequency ablation is a similar procedure, but this time the needle-like probe is inserted to create a small lesion (similar to scar tissue) on the nerve tissue targeted. This is performed in cases of severe chronic pain that requires the long-term inhibition of a nerve by disrupting it in this manner with radiofrequency impulses. 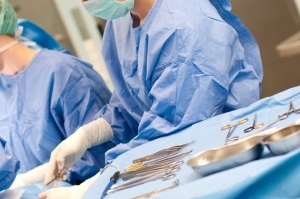 Radiofrequency ablation is minimally invasive and safe in the vast majority of cases. Side effects may include bleeding and infection of the skin through which the radiofrequency probe has been inserted. Vertebroplasty is a procedure that may effectively treat chronic back pain that is related to fractured, damaged, or osteoporotic vertebrae. The spinal bone(s) in question are visualized using imaging technology and a needle is inserted into it. Medical cement (made of acrylic) is injected through the needle in order to restore the structure of the vertebra that may have caused chronic pain by encroaching on or entrapping a spinal nerve. Kyphoplasty is a variation on vertebroplasty in which one or two small balloons are inserted through the needle and inflated in order to support the bone while cement is injected. Kyphoplasty is associated with reduced cement leakage (a side-effect of vertebroplasty), and possibly with improved vertebral structure and overall spine structure after the procedure. On the other hand, vertebroplasty may be associated with a longer duration of pain relief in comparison to kyphoplasty. However, kyphoplasty has been shown to shorten recovery periods. Both procedures are associated with the speedy alleviation of chronic pain that may take effect within the first 48 hours following the procedure. Chronic pain is typically defined as pain that persists for three months or more, depending on the type of condition associated with the pain. Chronic pain may be mild or severe, continuous or episodic, annoying or debilitating. There are many types of chronic pain, which may affect the spine, joints, limbs, or tissues. Chronic pain is diagnosed through the assessment of its effect on normal function and life quality. This is quantified using rating scales and medical examination. Chronic pain may have a number of causes, including trauma, tissue damage, and infection. Risk factors such as depression, fatigue, stress, or anxiety may also affect the severity of chronic pain. 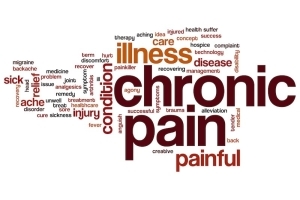 Many treatments for chronic pain are available, depending on the underlying condition or cause. These include adhesiolysis, nerve blocks, or steroid injections, as well as vertebroplasty or kyphoplasty. Abdi S, Datta S, Trescot AM, Schultz DM, Adlaka R, Atluri SL, Smith HS, Manchikanti L. Epidural steroids in the management of chronic spinal pain: a systematic review. Pain Physician. 2007;10(1):185-212. Cheng J, Pope JE, Dalton JE, Cheng O, Bensitel A. Comparative outcomes of cooled versus traditional radiofrequency ablation of the lateral branches for sacroiliac joint pain. Clin J Pain. 2013;29(2):132-137. Choi E, Nahm FS, Lee PB. Evaluation of prognostic predictors of percutaneous adhesiolysisusing a Racz catheter for post lumbar surgery syndrome or spinal stenosis. Pain Physician. 2013;16(5):E531-536. Garcea G, Thomasset S, Berry DP, Tordoff S. Percutaneous splanchnic nerve radiofrequency ablation for chronic abdominal pain. ANZ J Surg. 2005;75(8):640-644. Glazov G, Yelland M, Emery J. Low-dose laser acupuncture for non-specific chronic low back pain: a double-blind randomised controlled trial. Acupunct Med. 2013; in press. Goz V, Errico TJ, Weinreb JH, Koehler SM, Hecht AC, Lafage V, Qureshi SA. Vertebroplasty and kyphoplasty: national outcomes and trends in utilization from 2005 through 2010. Spine J. 2013;in press. Manchikanti L, Cash KA, McManus CD, Pampati V. Assessment of effectiveness of percutaneous adhesiolysis in managing chronic low back pain secondary to lumbar central spinal canal stenosis. Int J Med Sci. 2013;10(1):50-59. Park Y, Ahn JK, Sohn Y, Jee H, Lee JH, Kim J, Park KD. Treatment effects of ultrasound guide selective nerve root block for lower cervical radicular pain: A retrospective study of 1-Year follow-up. Ann Rehabil Med. 2013;37(5):658-667. Von Korff MR. Long-term use of opioids for complex chronic pain. Best Pract Res Clin Rheumatol. 2013;27(5):663-672. Wasserman RA, Brummett CM, Goesling J, Tsodikov A, Hassett AL. Characteristics of chronic pain patients who take opioids and persistently report high pain intensity. Reg Anesth Pain Med. 2013; in press. Lambru G, Abu Bakar N, Stahlhut L, McCulloch S, Miller S, Shanahan P, Matharu MS. Greater occipital nerve blocks in chronic cluster headache: a prospective open-label study. Eur J Neurol. 2014;21(2):338-343.